Thank you for visiting the web site of Duilawyersinarizona.com (“DUI-AZ”). The information contained on the DUI-AZ Web site is provided for educational and informational purposes only. The contents of this site are not and should not be construed as legal advice. The web site is not an offer to perform services on any matter. This website contains general information from a variety of sources and might not reflect current legal developments, verdicts or settlements. We do not undertake to update material in our web site to reflect subsequent legal or other developments. DUI-AZ expressly disclaims all liability with respect to actions taken or not taken based upon any information or other contents of this site. 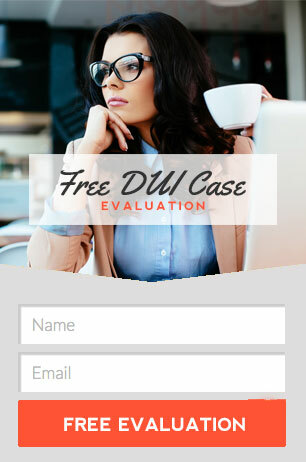 Viewing the DUI-AZ site, or communicating with DUI-AZ by Internet e-mail or through this site, does not constitute or create an attorney-client relationship with anyone. The content and features on this site do not create, and are not intended to create, an attorney-client relationship, and shall not be construed as legal advice. This content and features of this web site, including means to submit a question or information, do not constitute an offer to represent you. Any information sent to Duilawyersinarizona.com via Internet e-mail or through the website is not secure and is done on a non-confidential basis. DUI-AZ respects the privacy of any person who contacts us, and we will make reasonable efforts to keep information private, but because of the nature of Internet communications and the absence of an attorney/client relationship, we cannot promise or guarantee confidentiality. Thank you for visiting the web site of Duilawyersinarizona.com (“DUI-AZ”). This web site was created by DUI-AZ so that you could learn more about the legal services that we offer and other information related to the law. These contents are for informational purposes only. None of the information at this web site is intended to constitute, nor does it constitute, legal advice, and none of the information necessarily reflects the opinions of DUI-AZ, its attorneys or clients. Please read our Disclaimer, which is incorporated into these Terms, for additional limitations on the use and effect of this web site. DUI-AZ may periodically change, remove, or add the material in this web site without notice. This material may contain technical or typographical errors. DUI-AZ does not guarantee its accuracy, completeness or suitability. DUI-AZ assumes no liability or responsibility for any errors or omissions in the contents of this web site. Your use of this web site is at your own risk. Under no circumstances shall DUI-AZ or any other party involved in the creation, production or delivery of this web site be liable to you or any other person for any indirect, special, incidental, or consequential damages of any kind arising from your access to, or use of, this web site. IN NO EVENT SHALL Duilawyersinarizona.com BE LIABLE FOR ANY SPECIAL, INDIRECT OR CONSEQUENTIAL DAMAGES RELATING TO THIS MATERIAL, FOR ANY USE OF THIS WEBSITE, OR FOR ANY OTHER LINKED WEBSITE. The laws of each State are different. This web site contains information about general or common rules that apply in some states. NOTICE TO THE PUBLIC: Memberships and offices in legal fraternities and legal societies, technical and professional licenses, and memberships in scientific, technical and professional associations and societies of law or field of practice do not mean that a lawyer is a specialist or expert in a field of law, nor do they mean that such a lawyer is necessarily any more expert or competent than any other lawyer. All potential clients are urged to make their own independent investigation and evaluation of any lawyer being considered. Copyright ©2014 – 2015 DUI Lawyers in Arizona.com. All rights reserved. All materials presented on this site are copyrighted and owned by Duilawyersinarizona.com, unless in the public domain or attributed to another source. Any republication, retransmission, reproduction, downloading, storing or distribution of all or part of any materials found on this site is expressly prohibited. As you navigate within the Site, DUI-AZ may be collecting and tracking personal information, either by asking you to tell DUI-AZ something about yourself (such as your name, address or email address) or by using data-tracking software that tells us what parts of the Site you have browsed. DUI-AZ may collect other information about you, such as your IP address, geographic information, the type of the web browser and operating system you use, and any other information that your web browsing software or Internet Service Provider automatically provides to our Site. We may be collecting and tracking information about the activities in our Site you engage in to help us know what users are interested in. We may also use “cookies” to keep track of visitors. A cookie is a small file stored on the hard drive of your personal computer. If your web browser allows, you may disable the placement of cookies on your hard drive. Disabling the placement of cookies may prevent you from accessing or using portions of the Site. Except as provided below, the Site does not currently share or sell any other information. Except as provided herein, no personally identifiable information is collected beyond that which is identified in this section of the Site Terms. You agree that we may aggregate any information which we collect or maintain, and that we may use such aggregated information for internal analysis or for marketing purposes. We may disclose aggregate, de-identified data (i.e. stripped of information that identifies you) to third parties in connection with such analysis and/or marketing. By using the Site, you expressly assent to the collection and use of the limited information identified.